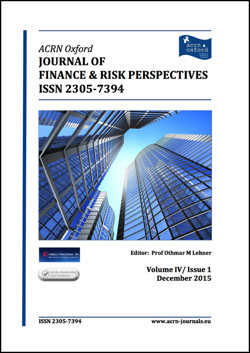 Volume 6, Issue 1: … free online access to latest research in Finance, Risk and Accounting! Abstract: The European Commission has released a new directive concerning sustainability reporting that must be implemented in thousands of companies by 2017. Many companies already report on sustainability. Thus, the question emerges whether companies already fulfil the requirements for reasons of legitimacy, signalling and authenticity, regardless of the new directive. A multiple comparative case study of exemplary companies with triangulation through qualitative expert interviews has been conducted. Business reports, newspapers and interviews have been coded deductively and inductively. The exemplary companies already fulfil the majority of the new requirements. The result of the coding is a framework of five categories, namely, motives, legitimacy, integration, signalling and authenticity. It has been identified that motives have changed and sustainability reporting has developed into an instrument for legitimacy. The implementation has become more standardised and distinct signals have gained in significance to attain authenticity. Is gold a hedge, a safe haven, or a diversifier in Korea? Abstract: This paper examines whether gold is a hedge or a diversifier for socially responsible and conventional investment in Korea. To answer this question, daily returns between January 2006 and December 2015 were analyzed. This time span included the implementation of the Korean Green New Deal. The autoregressive distributed lag method was used to analyze the daily returns for socially responsible investment, conventional investment, and gold. The results suggest that gold is a strong diversifier, but a weak hedge, for socially responsible investment and conventional investment in Korea. For the sub-period, including the 2008 financial crisis, no evidence of gold being a safe haven was found. Furthermore, the study found that neither negative nor positive shocks have a significant impact on the volatility of the Dow Jones Socially Responsible Investment Index Korea. However, positive shocks contribute to volatility in the first sub-period between 2006 and 2010, and negative shocks contribute to volatility in the second sub-period between 2001 and end of 2015. Abstract: Capital and Financing structure are considered of a crucial importance for the operational and financial sustainability of microfinance institutions (MFIs). Therefore, each decision making process is of the same importance for these institutions. The purpose of this study is to draw attentions toward the microfinance sector and to take into consideration the human factor and the role that managers play in funding and financing modalities and decision making process in microfinance institutions. In this context, this paper explores the differences between conventional and Islamic MFIs’ capital structure choices on one hand. And, reviews the insights provided by the literature examining capital structure decisions and managerial behavioral biases on the other hand. The theoretical and comparative analysis revealed the substantial differences between capital structure of both Conventional and Islamic MFIs. Furthermore, the empirical literature points that managers’ behavioral biases play an important role in explaining the capital structure choices. Microfinance institutions still has not been subject of behavioral finance studies. Thus, the discussion emphasizes the theoretical and empirical limitations on this field. In addition, the discussion stresses the importance of studying the behavioral traits of MFIs’ managers and their role in explaining capital structure choices. Keywords: Capital Structure of Conventional MFIs, Capital Structure of Islamic MFIs, Behavioral Biases, Decision Making. Abstract: The purpose of this study was to research developments in Social Finance in Ireland in order to answer the following question; “What is the social impact of the work being carried out by social ventures and how is it being measured in order to determine the difference being made in people’s lives?” The telephone interview approach, using a semi-structured format was chosen as the research methodology for the collection of data. Representatives from six social ventures were interviewed to; (i) discuss the social impact made by their organisations, (ii) discover whether or not they quantified the social impact being made (and if so, how) and (iii) identify the financial structures that they had adopted. 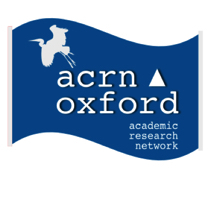 The study concluded with the result that of the six social ventures interviewed, five welcomed an increased use of social impact measurement, as they believed this would attract more funding and ultimately lead to more financially viable social ventures. All six social ventures emphasised the need for government policies in order to support and direct future advancements of social ventures.